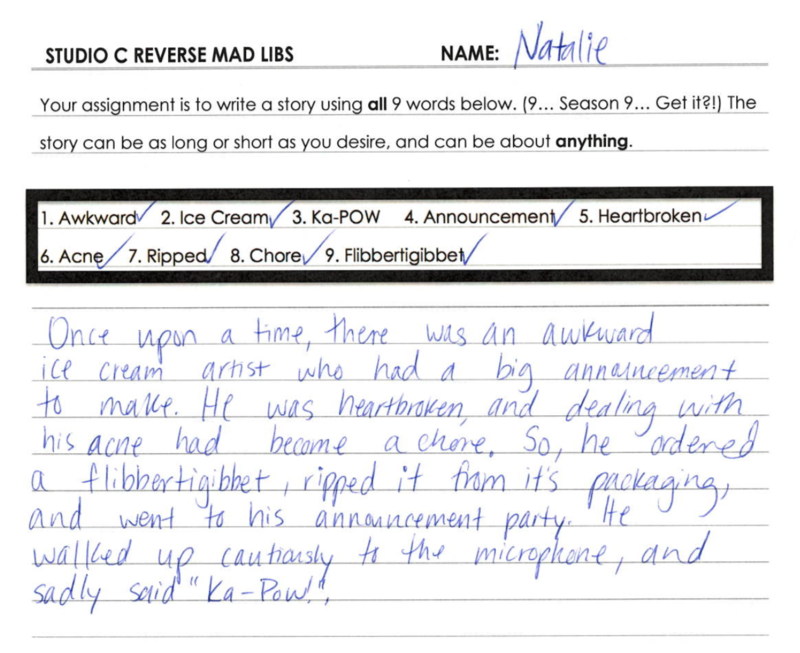 This week for our Reverse Mad Libs, it's Natalie's turn! 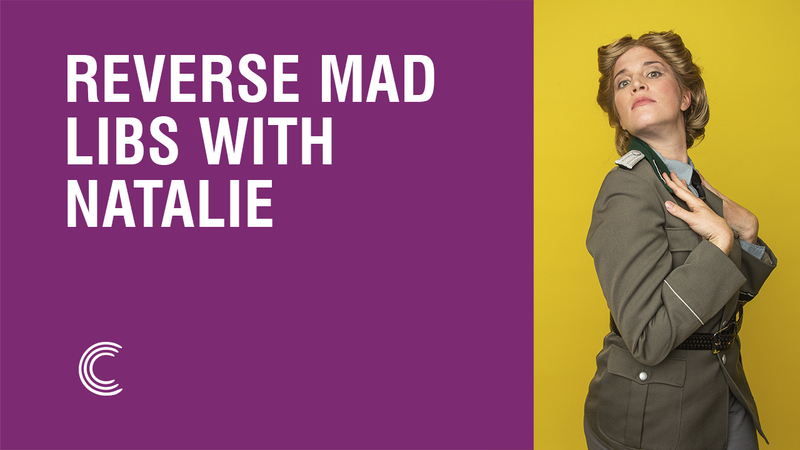 Reverse Mad Libs With Natalie! It's time to see the fruits of Natalie's creative juices! 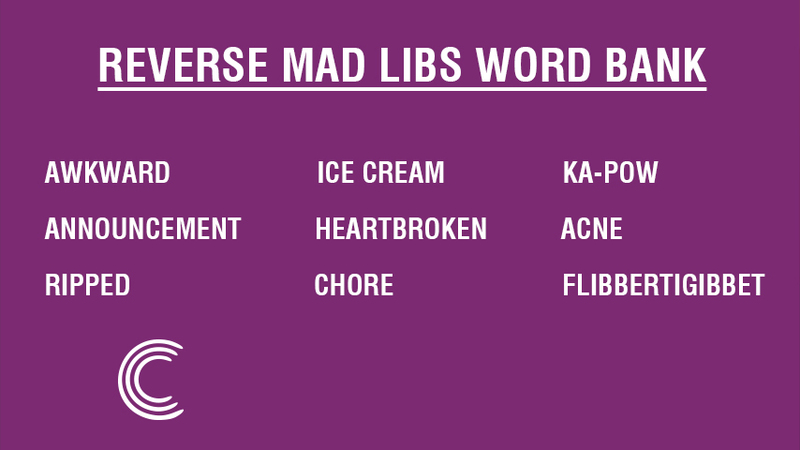 Read her mad lib story and see if you can spot all nine words! Once upon a time, there was an awkward ice cream artist who had a big announcement to make. He was heartbroken, and dealing with his acne had become a chore. So, he ordered a flibbertigibbet, ripped it from its packaging, and went to his announcement party. He walked up cautiously to the microphone, and sadly said “Ka-Pow”. There Are More Stories Coming Your Way! Can't wait another week for a new story? 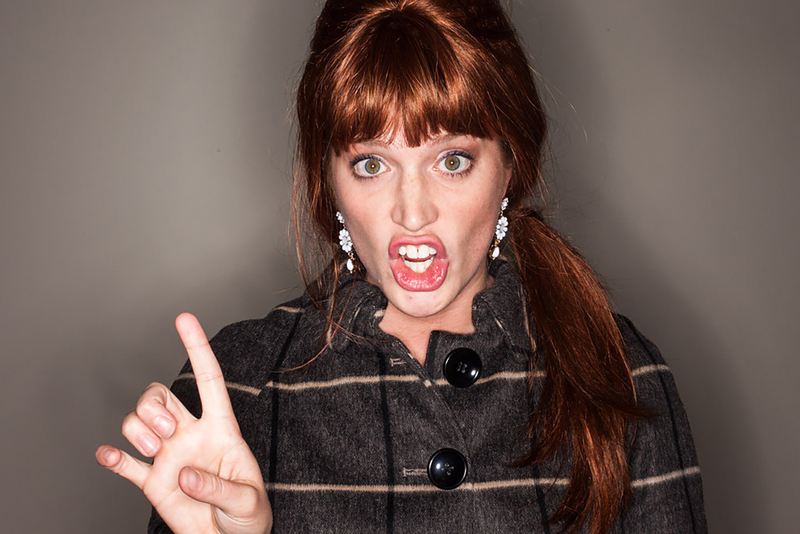 Be sure to check out Adam Whitney, Stacey, and Stephen's story!